Between baby pictures, wedding snapshots, and look-at-how-in-love-we-are engagement photos, your Facebook feed can start to feel like an onslaught of people trying to show you how perfect their lives are. But you’re not jealous, because you know that true love is something anyone can have; true love is between a good meal and its eater. 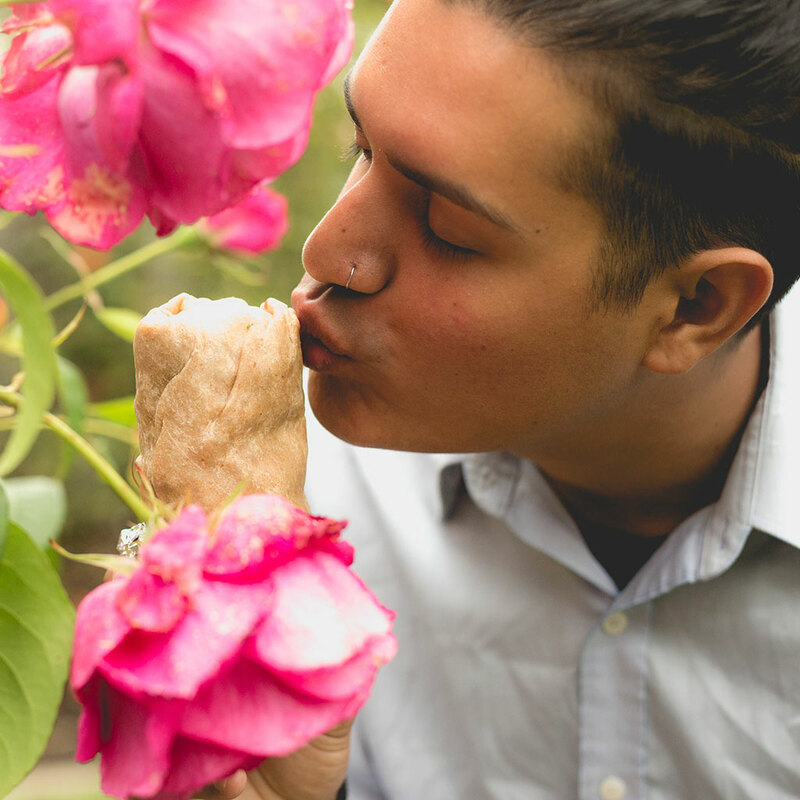 San Francisco-based writer David Sikorski celebrates this purest manifestation of love with a series of romantic engagement photos to his one true love: his burrito. These heartwarming photos include Sikorski gazing lovingly at his burrito, sitting with the burrito on a park bench, lying with the burrito in the flowery grass, even popping champagne with his burrito on a picnic. The object of his affection is a carne asada burrito from Taqueria La Cumbre in San Francisco’s Mission District. David Sikorski worked with photographer Kristina Bakrevski to make the engagement photos as true-to-life as possible. Said Sikorski of this project, "I've reached the age where my Facebook is now filled with engagement and baby photos; back in 05/06, it was filled with incriminating photos of my friends' weekend escapades. I already had a strong burrito love so I called one of my music photographer friends and, naturally, she jumped at the idea." So go ahead. Ogle at his burrito without worrying what the rest of your social network has to say. As Sikorski said, "Some people are going out and getting married and others are fine just enjoying a good burrito."